2018 will go down in the books as the Year of Preparing for Oliver. 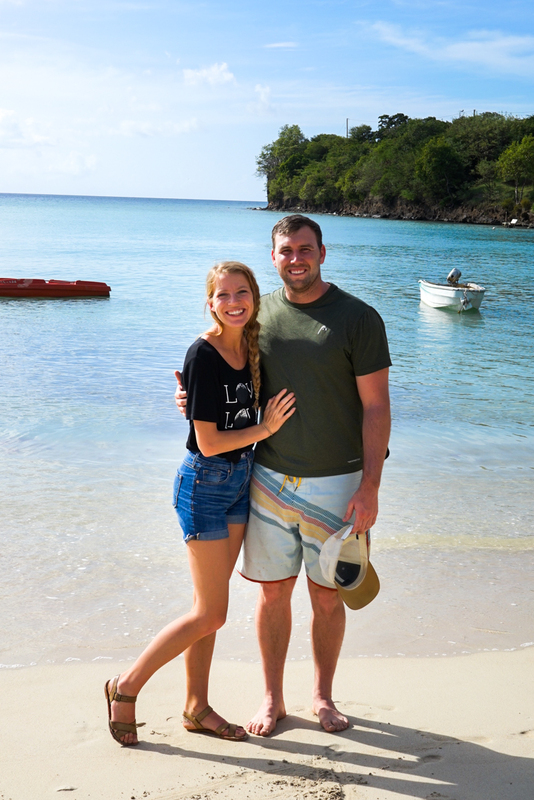 We started off the year by going on a cruise in January, and found out we were pregnant on February 7th. 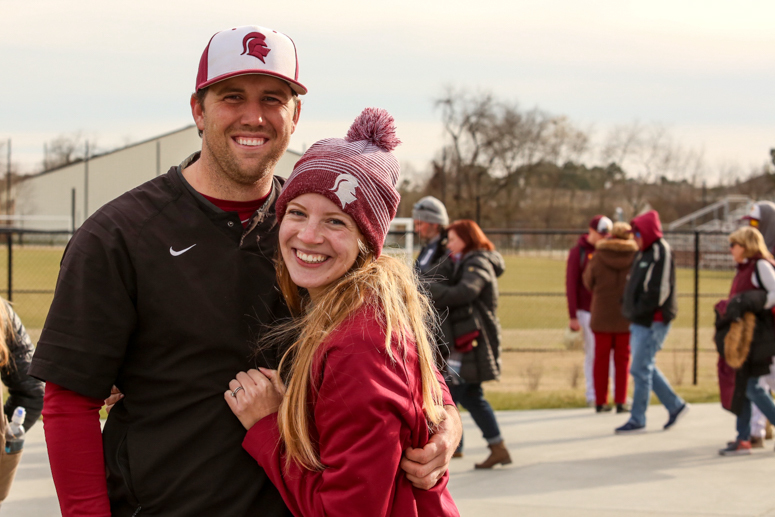 From there Tayler turned 26 in March and dominated his last season of baseball, getting named the Conference player of the week and the school's Male Athlete of the Year. 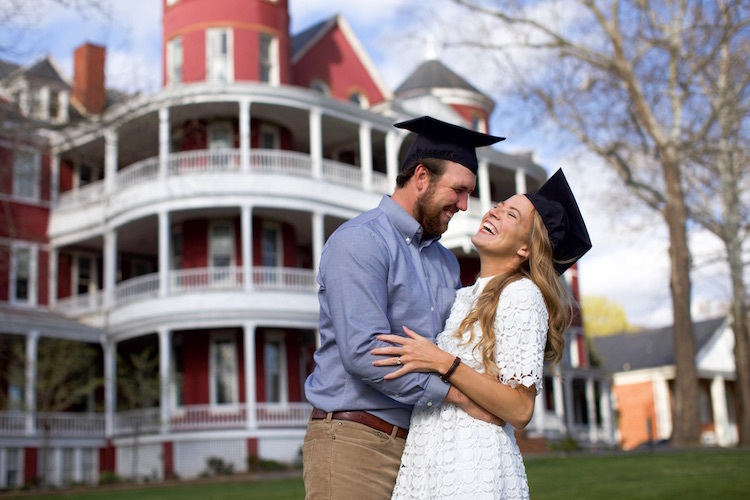 We celebrated our 3rd anniversary in April and graduated with our Bachelor's Degrees. 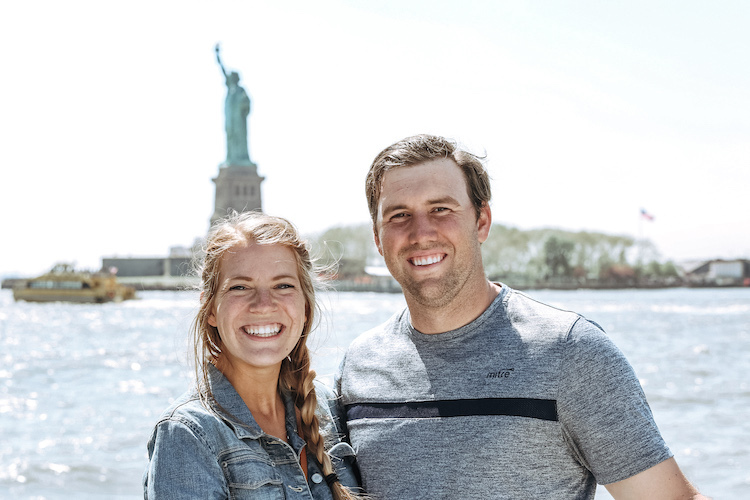 In May we snuck in a trip to New York City before traveling back to Utah to settle down, work full time, and prepare for our first baby. Tayler started working at Cougar Automative as a car salesman, and I got a job working at home for Brickyard Buffalo, a daily deals company. We both enjoyed our jobs. While our salaries were still small compared to most, we'd been living as students for the past three years with a $100/month budget so we reveled in the luxury of buying brand name groceries and filling our town house with new furniture. 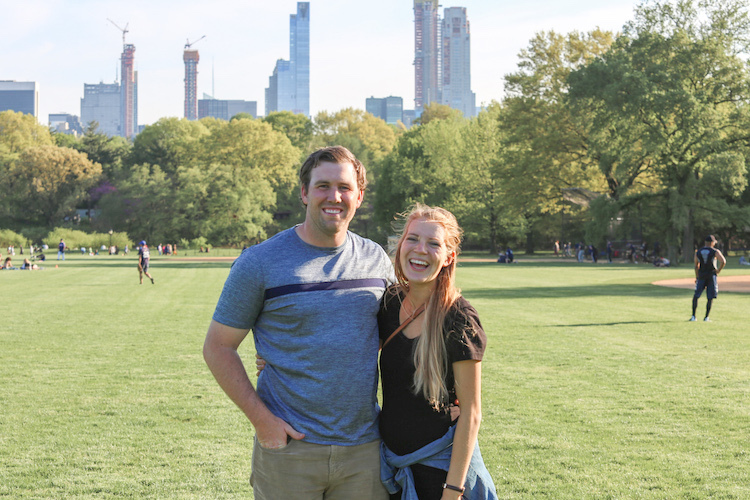 In the summer Tayler joined a local baseball league with some other former SVU players, and it was fun reuniting with my fellow wives of SVU baseball. 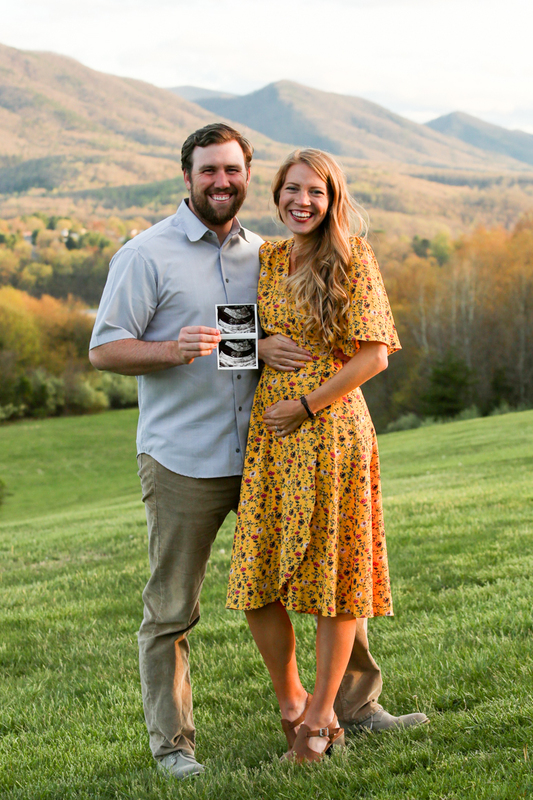 I turned 23 and loved my summer pregnancy, (see all two of my bump posts here and here) except for when our air conditioning went out for a few days. 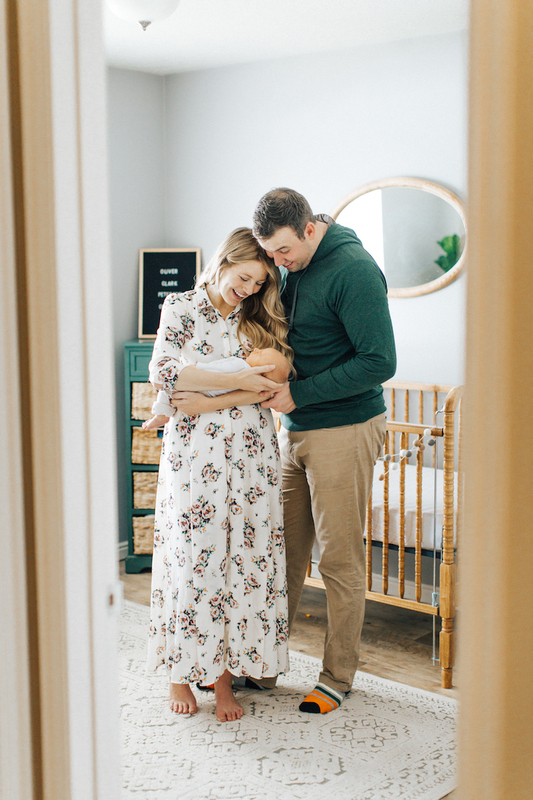 The fall brought 2 baby showers and a long "to-do" list before our baby arrived. 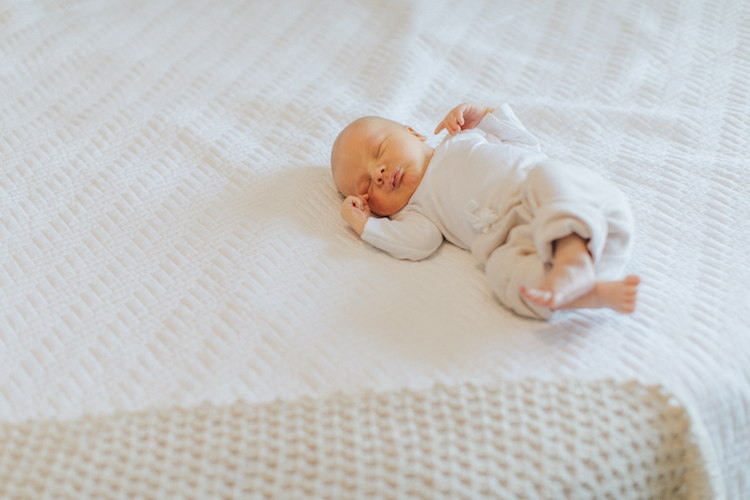 Sleep was getting trickier for me and by the end of my pregnancy I had gained 44 pounds. 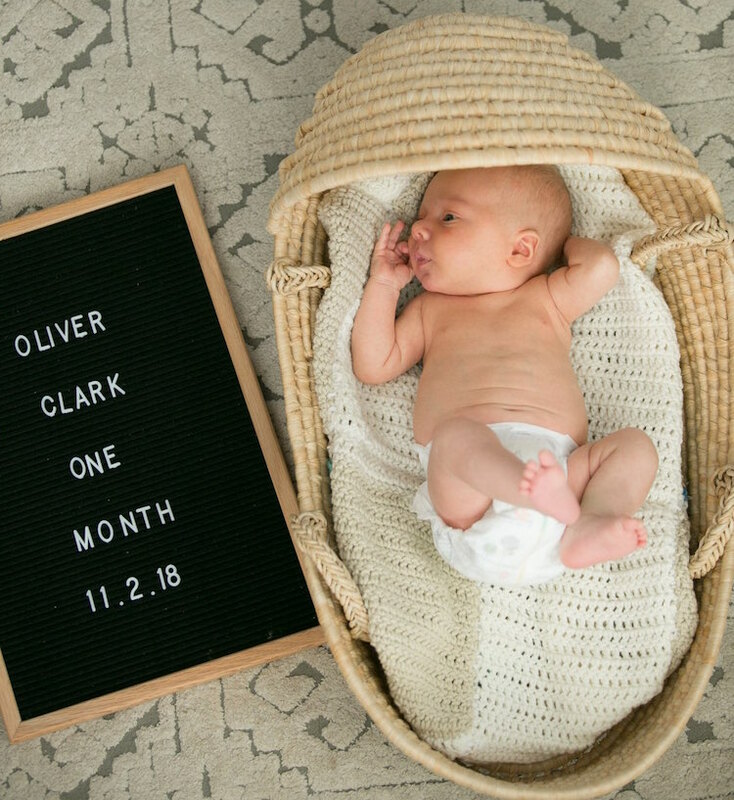 To our surprise, early on the morning of October 2nd my water broke and 8 hours later Oliver was here! Two weeks early, you can read his birth story here. 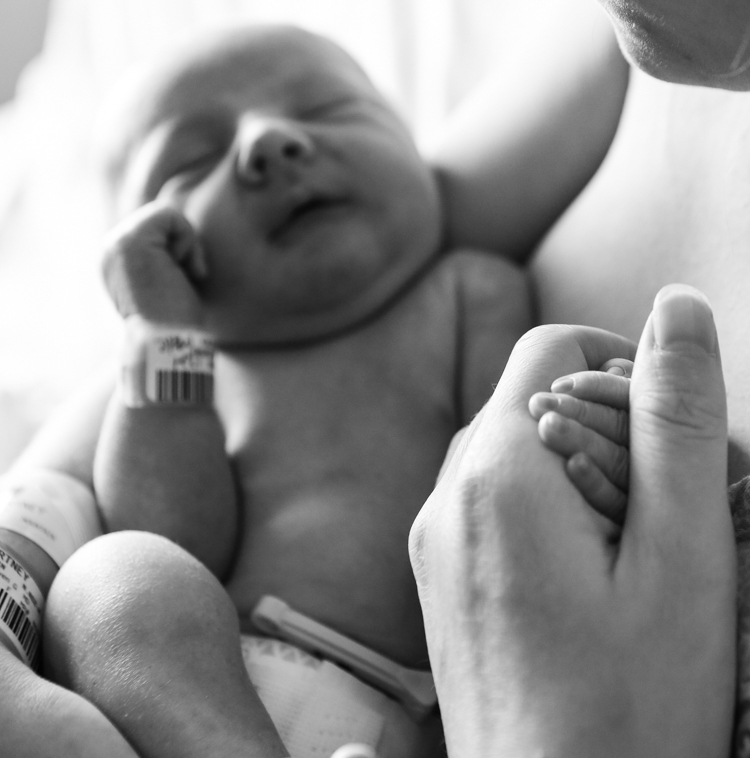 We had some little scares with jaundice, low blood sugar, and an inconclusive newborn test but everything worked itself out and we brought home our healthy baby on October 5th. From then on our activities outside were minimal, but we did go on a trip to the pumpkin patch! My recovery was awesome and I resumed working three weeks after Ollie was born, and am still trying to figure out a good balance between work and parenting. 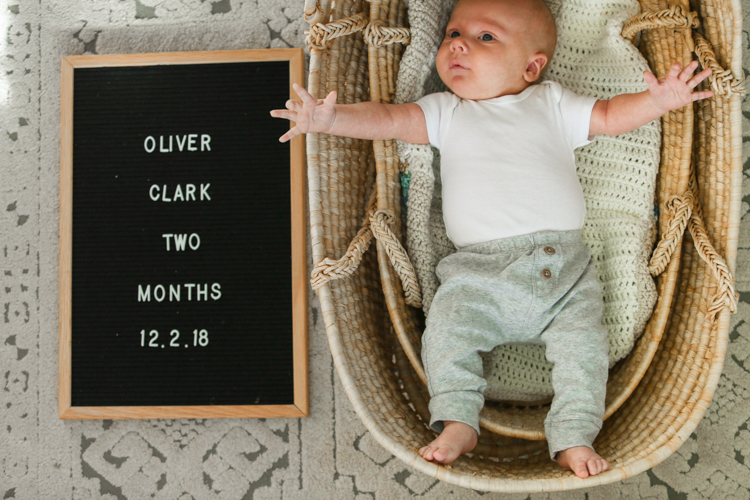 You can read Oliver's November & December updates here: one month, two month. We celebrated Thanksgiving and Christmas as a family of three, to the delight of me and Tayler and the indifference of Ollie. 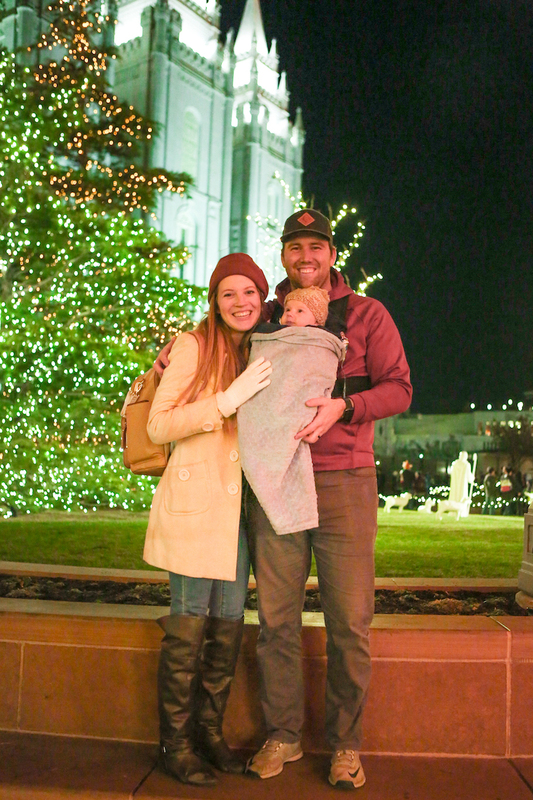 We took him on his first trip to Temple Square, which he slept through. 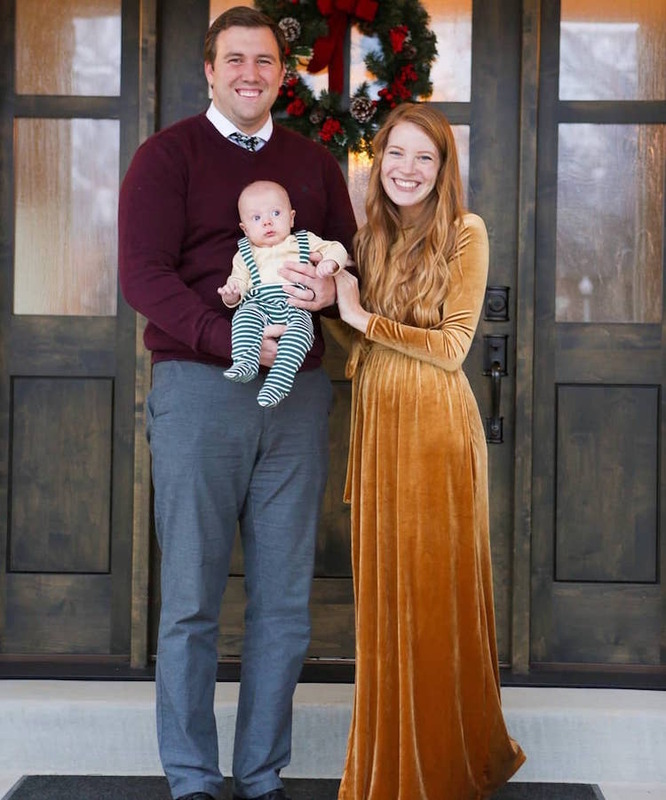 By the end of the year he was smiling and *almost* able to hold his head up all the time. It was a year of change (moving, being full time employees rather than students), growth (44 POUNDS) and blessings (living near family, increased closet space, becoming parents, Oliver). Usually at this point in my post I'm writing resolutions for the new year, but my only one is to take life slow. Take pictures, write in my journal, and soak in every bit of this wonderful life we have.